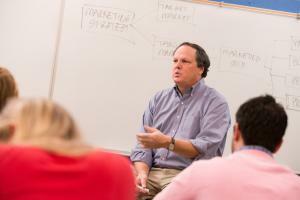 BREVARD – Brevard College’s Business and Organizational Leadership (BORG) department will allow students from its Principles of Total Quality class the opportunity to help businesses and organizations with a quality improvement project. Projects will focus on quality areas including customer focus, leadership, involvement of people, process approach, system approach to management, continual improvement, factual approach to decision-making and mutually beneficial supplier relationships. All projects begin mid-September, are free to clients and include confidentiality. Dr. Steve Woodsmall, assistant professor of BORG, said he is incorporating “experiential and service learning that is free consulting to clients and tailored to each organization while supervised by BC faculty. “It’s a win-win: students learn while bettering the community around them,” he said. Businesses and organizations interested in being a part of this project should contact Dr. Woodsmall at 828-884-8326 or steve.woodsmall@brevard.edu.